Suffolk SPCA: Decapitated Birds Found in Smithtown, Great River Possibly Related to "Occult Sacrifices"
Authorities offering $2,000 reward for information; incidents suspected to be "occult" in nature. The Suffolk SPCA are seeking those responsible for decapitated birds found in Suffolk County. Suffolk County, NY - February 8, 2019 - The Suffolk County SPCA is offering a $2,000 reward for information leading to the arrest and conviction of the individual(s) responsible for this heinous act of animal cruelty. On Monday, Feb. 4th , 2019 the Suffolk County SPCA was contacted about 3 decapitated birds found in Millers Pond Park in Smithtown near the Maple Avenue and 4th Avenue entrance. Suffolk County SPCA Detectives responded along with Smithtown Park Rangers and Suffolk County Police Dept. On Tuesday, Feb. 5, 2019 the SPCA was contacted about 3 more decapitated birds found by Wheeler Road in Great River. 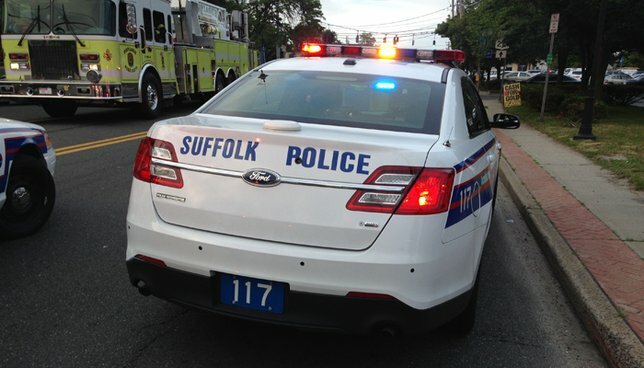 The Suffolk County SPCA is conducting an investigation. SPCA officials have consulted with Marcos Quinones, a renowned occult specialist and author of "The Goddess of Death" who has been helping law enforcement agencies worldwide makes sense of the disturbing discoveries such as this one. The SPCA has worked with him on several cases in the past. After he reviewed the evidence his analysis of the location appears to be ritualistic in nature. He believes that the offering may have been committed in a different areas and brought to the lake for Oshun, Goddess of the Rivers and Lake. The Suffolk County SPCA are asking for the public's help to try to find the individual(s) who can share any information that they may have relating to this discovery. In the previous cases goats, chickens, roosters, cow tongues have all been used in these sacrifices throughout Suffolk County. Anyone with information is asked to call Suffolk County SPCA at 631 382-7722. All calls are kept confidential. Subject: LongIsland.com - Your Name sent you Article details of "Suffolk SPCA: Decapitated Birds Found in Smithtown, Great River Possibly Related to "Occult Sacrifices""